Workers stay cool while protecting themselves with this coverall. The back is made entirely of a breathable spunbond polypropylene while the front is made of our LiquidGuard microporous material. 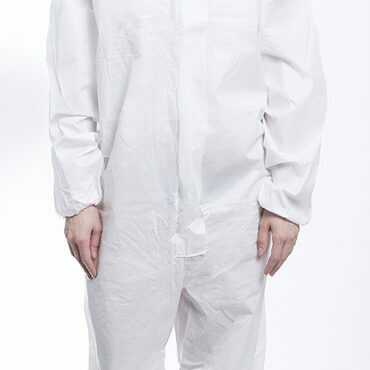 Wearers are protected against wet and dry hazardous and non-hazardous contaminants including lead, asbestos, paint, mold, dust, grease & fibers while staying cool with the “coolback” feature of this coverall.